Orange Alabaster Bear Fetish on Cedar Base. $50. SOLD. 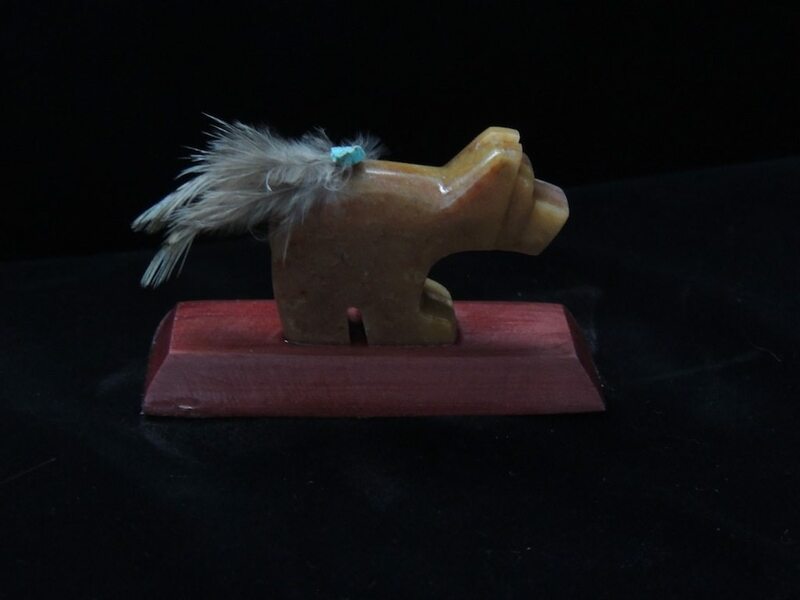 This beautiful little medicine bear is carved in the bold, square style that is the hallmark of Taos Pueblo’s talented Gomez family — in this case, by Jeremy Gomez. Coaxed from orange alabaster in striated tones ranging from apricot to rose with an icy surface effect, he looks cool and warm simultaneously. He carries a medicine bundle of down feathers and a sky-blue turquoise nugget, and rests on an oiled red cedar base. 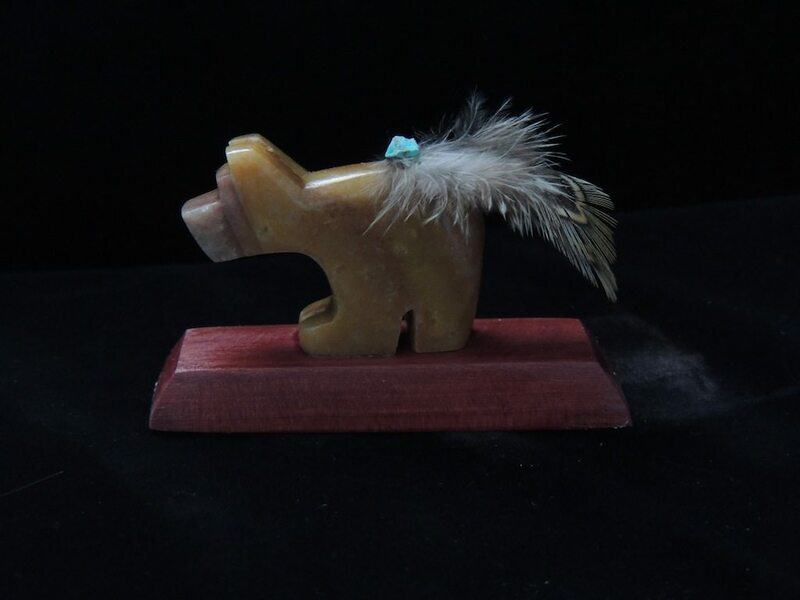 Bear stands 1.25″ long by 1-3/8″ high; base is 2.75″ long by 2/8″ high (dimensions approximate). Another view shown below. Posted on Monday, December 22nd, 2014 at 2:10 am. Filed under: Fetishes	RSS 2.0 feed.